GARDAÍ IN DÚN Laoghaire have appealed for information in relation to a cash-in-transit robbery that occurred yesterday at Killiney Shopping Centre in Dublin. On Wednesday at 10.36am, a man with a handgun approached and threatened the driver of the security van, demanding cash. The man fled the scene in a silver Nissan Micra, along with a second man who had been waiting nearby. No one was injured during the robbery and an undisclosed amount of cash was taken. 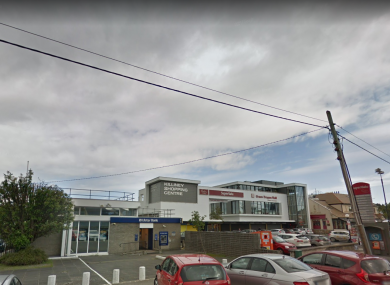 Gardaí have made an appeal for anyone who was in the vicinity of Killiney Shopping Centre between 9.30am and 11.30am on Wednesday and has information about the robbery to come forward. Investigating Gardaí in Dún Laoghaire have also asked that drivers who were in the area at the time and may dash cam footage to contact Dún Laoghaire Garda station on 01 6665000 or the Garda Confidential Line on 1800 666 111. Email “Security guard threatened with handgun during cash-in-transit robbery ”. Feedback on “Security guard threatened with handgun during cash-in-transit robbery ”.